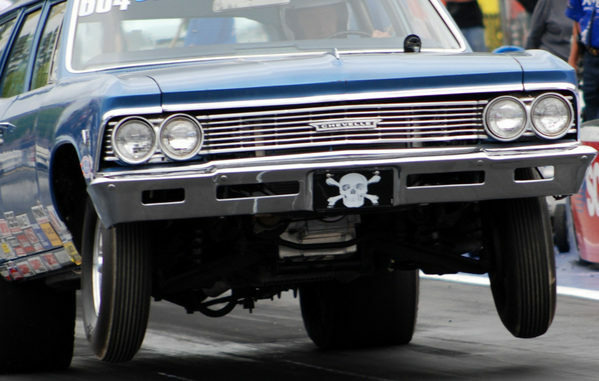 Question: Have you ever watched an out-of-shape, high horsepower GM A or G-body (Chevelle, Cutlass, GTO, Grand National, etc.) 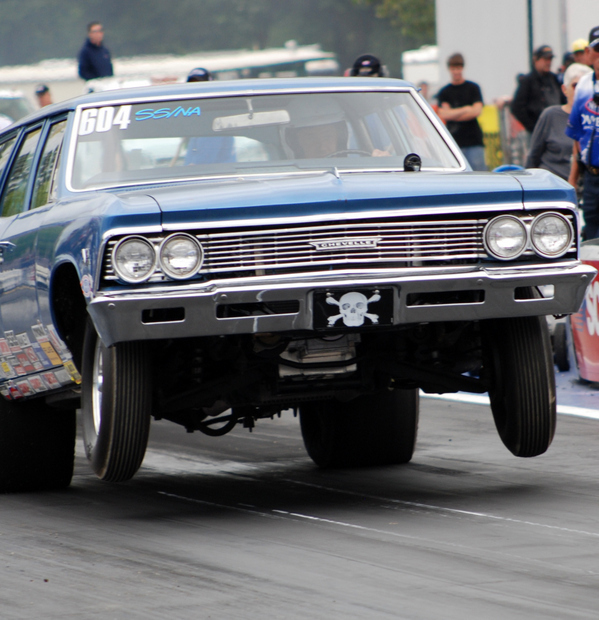 as it launched at a drag strip? You know the scene — typically, the driver’s side front fender will be reaching for the sky while the passenger side rear quarter panel will be trying to dig itself into the pavement. Not pretty. Not so healthy for the car. And it tends to increase the pucker factor for the driver by a factor of at least ten (even when you’re completely accustomed to it). Yikes. There’s a massive amount of torque attempting to twist the rear axle assembly. Those numbers can explain why, when the car “hooks” it bends itself out of shape. 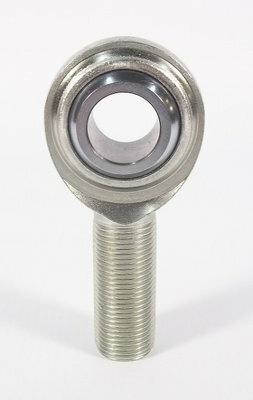 But keep in mind the torque load isn’t constant. It tends to decrease as engine RPM increases (obviously). We’re not quite done. There’s a bit more to this torque thing. When you view an engine from the front, the crank will typically rotate clockwise. As the crank turns, then an equal amount of torque is applied in the opposite direction to the engine block. That means the block will be trying to rotate counter clockwise (Newton’s Law is a work here – “For every action, there is an equal and opposite reaction”). Motor mounts transfer this torque reaction to the chassis. In turn, the chassis will attempt to roll rotate counter clockwise (when viewed from the front). That drives the passenger side quarter panel downward and lifts the driver’s side front wheel. The car starts to look like a twisted mess of a pretzel. And ask anyone who drives such a beast and they’ll tell you the experience can range from somewhat amusing to downright scary. Scary is easy enough to fix. 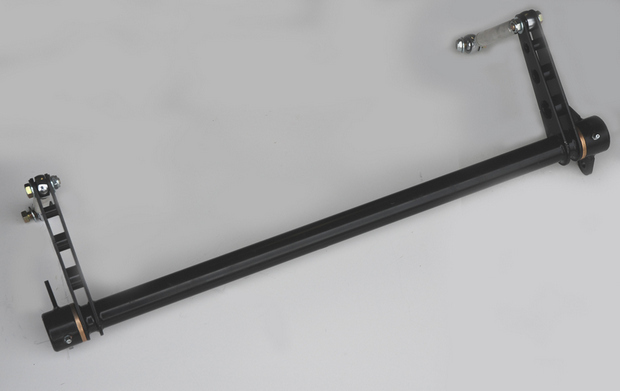 In the accompanying photos along with the upcoming series of articles to follow, we’ll show you the best solution – a drag race ARB or “anti roll bar”. Check it out and stay tuned for more info. A high quality ARB includes a number of critical components (along with some fabrication required for installation), but don’t let that stop you. When working with such a bar, all chassis adjustments must be made with the bar disconnected. 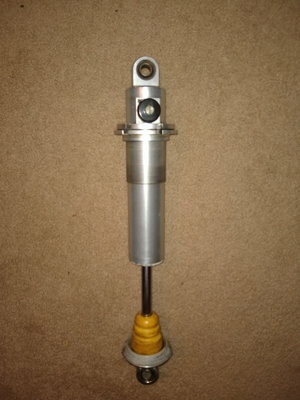 The installed stabilizer bar cannot be under static tension. 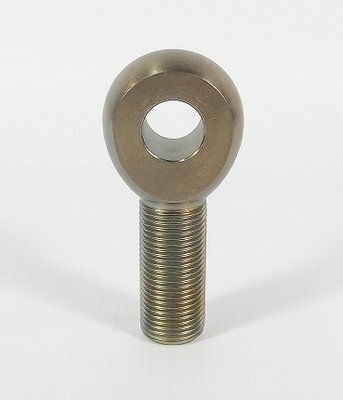 The connecting links must be adjusted so that the rod ends rotate freely to avoid bind. By the way, any changes to the car ride height can place the bar in static load, and as you can well imagine, that’s not such a hot idea. This means if you change the ride height, you must readjust the anti-roll bar. 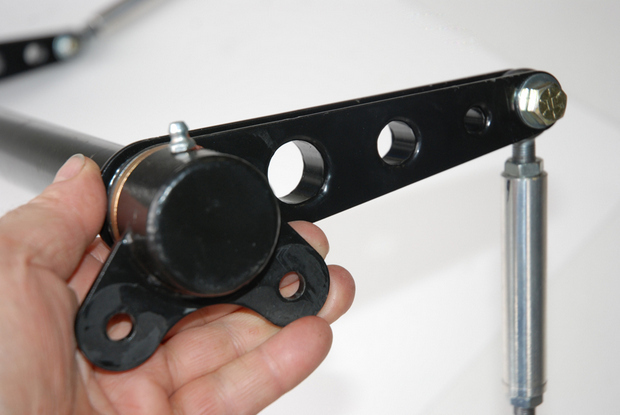 An ARB such as this piece from TRZ functions a well bit like a stout, short torsion bar. As the suspension moves straight up and down, without chassis roll, the respective anti-roll bar levers move simultaneously. 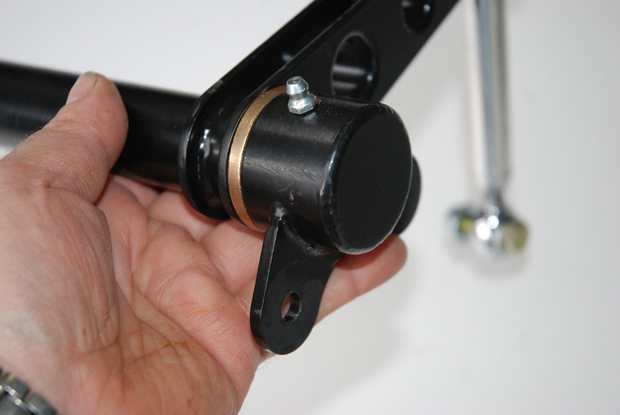 The stabilizer bar simply rotates on these bushings and suspension movement is unaffected. Not so when you get on the power, but we’ll get to that later. The brackets shown here weld to the ARB tube. There are two sets of these brackets per side.